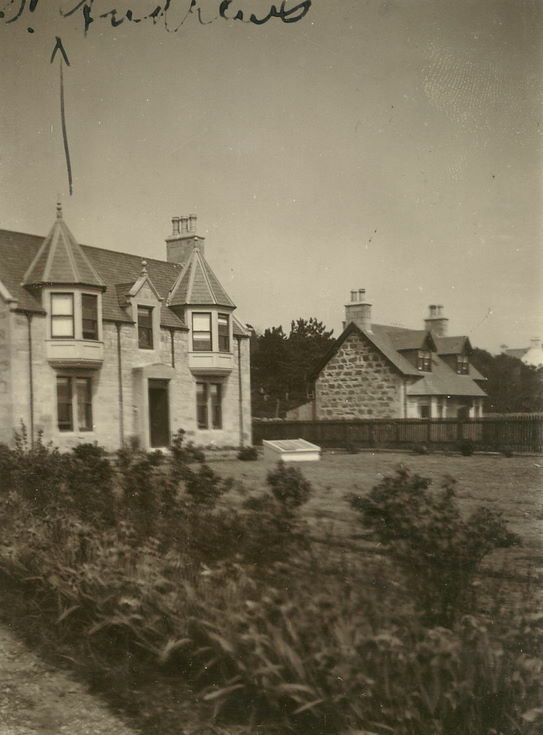 Monochrome photograph of a house and garden with an annotation at top left 'St Andrews'. From an album of postcards and photographs taken by Mrs J.I.C. Mackay.